The Latina Book Club is pleased to announce it's August Book of the Month -- an emotional and heartfelt collection of poems that will touch everyone's heart. Tearful. Fearful. Hopeful. Powerful. A.B. Lugo’s first collection of poetry -- SPANISH COFFEE: BLACK, NO SUGAR – is a bittersweet mezcla of heartbreak and hope. In 2015, the award-winning actor and playwright lost both his parents within months of each other. To cope with his grief, he dedicated himself to writing a poem a week in 2016. SPANISH COFFEE: BLACK, NO SUGAR – named for the way his Dad liked his coffee – chronicles a year of his life, his grief, and his hard journey forward. The poem that touched us most was “That Moment” (20-26 May 2016). He shares with us the breakup with his lover, and he comes to an insightful breakthrough when he realizes that he’ll be alright and that he has “adopted a new role that of his own savior” not just in his love lif,e but in all his life. EXCERPT! 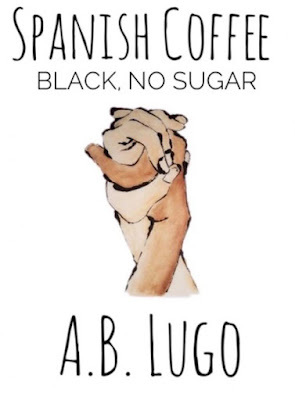 Read an excerpt from Lugo's SPANISH COFFEE: BLACK, NO SUGAR by clicking here. ABOUT THE AUTHOR: A.B. Lugo is an award-winning actor, playwright and performer. 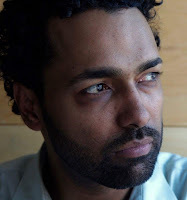 Some of his poetry can be found in the anthology ME NO HABLA WITH ACENTO (Rebel Satori Press). 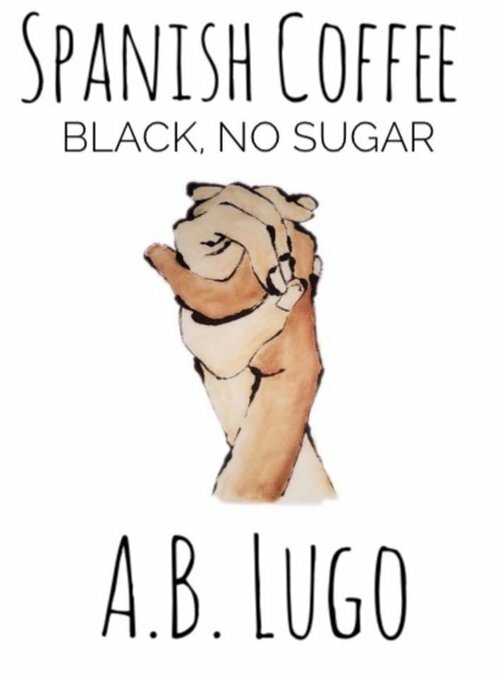 SPANISH COFFEE: BLACK, NO SUGAR is his first published collection of poetry.